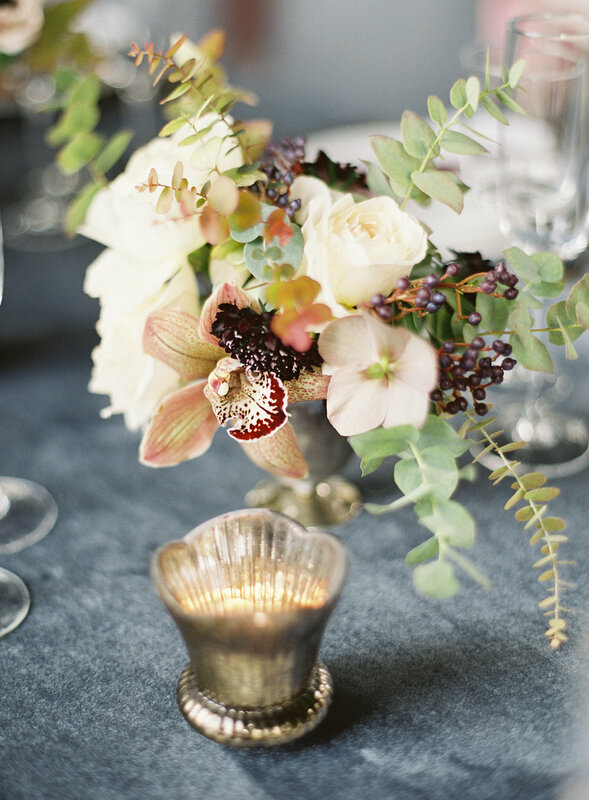 This photo shoot was all about conveying an Old World elegance that New York's Wave Hill embodies. We are so thrilled to have it featured on Wedding Sparrow. 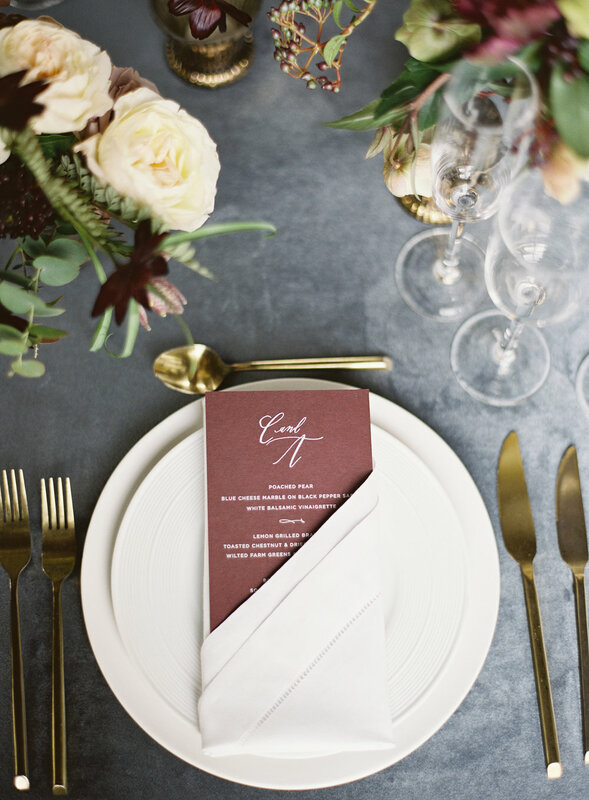 A palette of muted mauve, creamy champagne and deep plummy purple were paired with rich charcoal velvet fabric and bronze vases to create a decadent luxe look. A true occasion for romance. 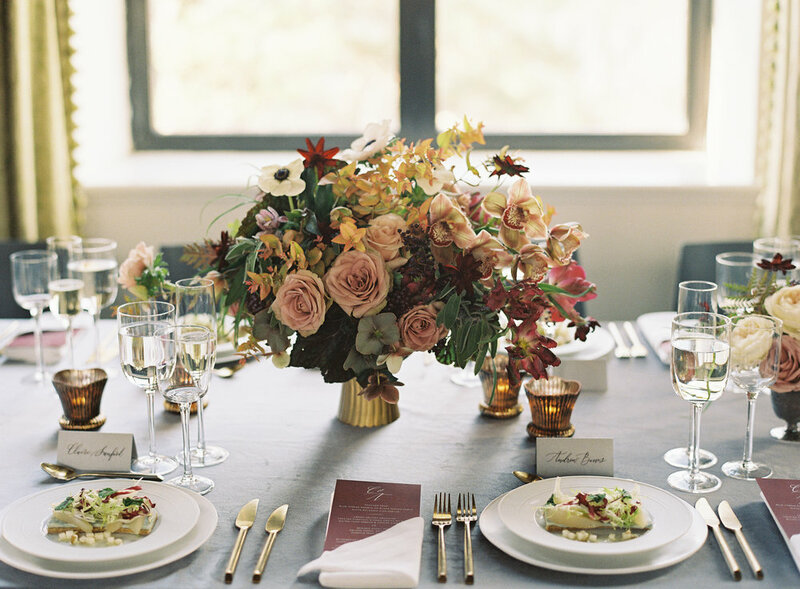 Only 20 minutes from NYC, Wave Hill is one of our favorite venues no matter the season. The mansion is a English country style house that sits on 28 acres of beautiful landscape with views of the Palisades.